The Government has today approved a new Bill to provide a Universal GP service for everyone over the age of 70. Minister for Health Leo Varadkar and Minister of State for Primary & Social Care Kathleen Lynch have received Cabinet approval for the Health (General Practitioner Service) Bill 2015, and agreement that the Bill should be published and introduced to the Oireachtas. “This phase in the introduction of a universal GP service for the whole population will see free GP services extended to all persons over the age of 70, regardless of income or means. In tandem with separate plans for the under-sixes, this will ensure that the youngest and the oldest have access to GP care without fees. This is a significant step on the way towards universal health care,” Minister Varadkar said. Subject to the legislation being passed by both Houses of the Oireachtas, the objective is to have a universal GP service for over 70s in Quarter 2 of this year. This is proposed to coincide with the introduction of the under six service. The Government’s Statement of Government Priorities 2014-2016 reiterated the commitment to the introduction of a universal GP service for the entire population, in line with the Programme for Government. The Government has prioritised the under sixes and over 70s in the first two phases of the roll-out of universal GP care. 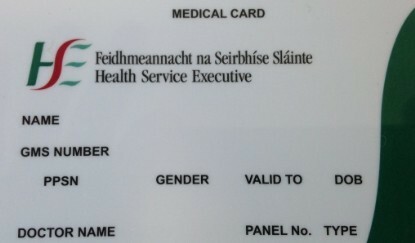 The second phase of introducing a universal GP service will cover all persons aged 70 years and over. It is estimated that about 36,000 over 70s currently pay to attend a GP as they are not covered by a medical card or a GP visit card. The cost to the Exchequer of the proposed legislation for a universal over 70s GP service is estimated at €18 million in a full year. This service will be provided under the existing GMS GP contract. Negotiations on a contract to facilitate the extension of free GP care to all children under the age of six are at an advanced stage between the Department of Health, HSE and the IMO. Contracts will not be issued pending the conclusion of negotiations.